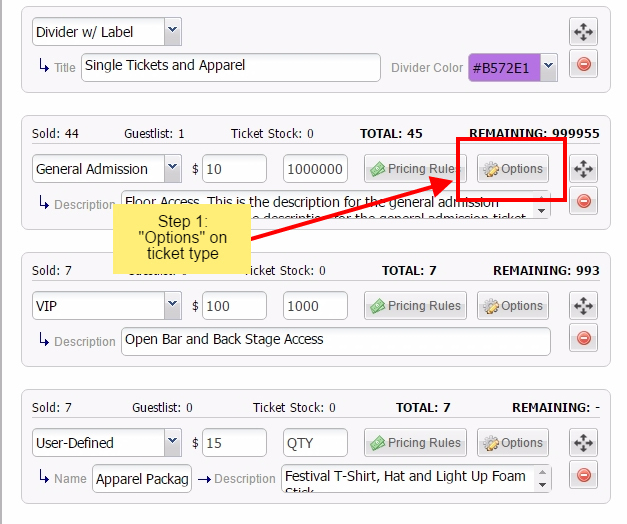 /Creating, Editing and Managing Events /I need to hide a ticket option or mark it as sold out. How do I change the ticket type status? After this you will see a number of options letting your change the status of that particular ticket type. Click on the one you require, and then press “Update Options”. 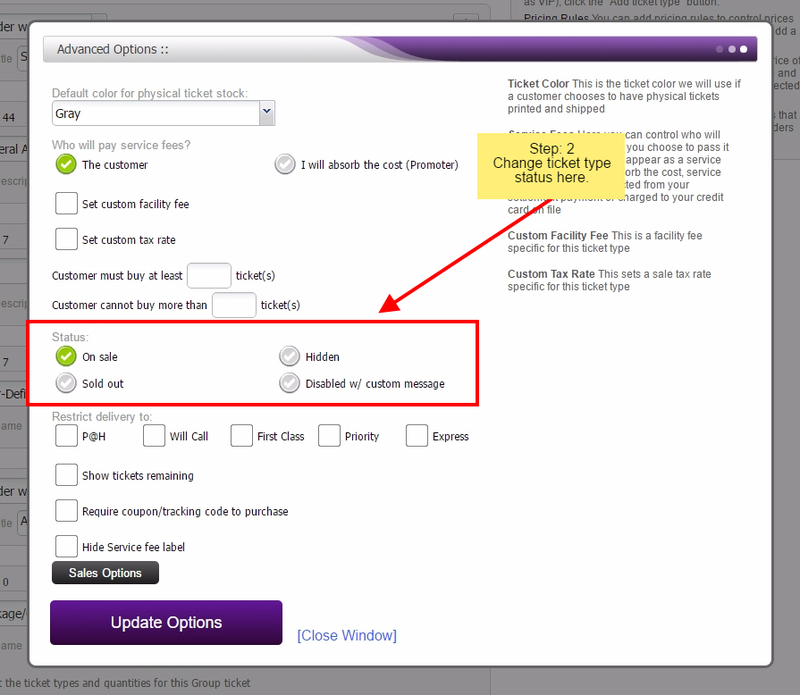 This will only affect that one ticket type so you can continue to sell your other tickets normally.